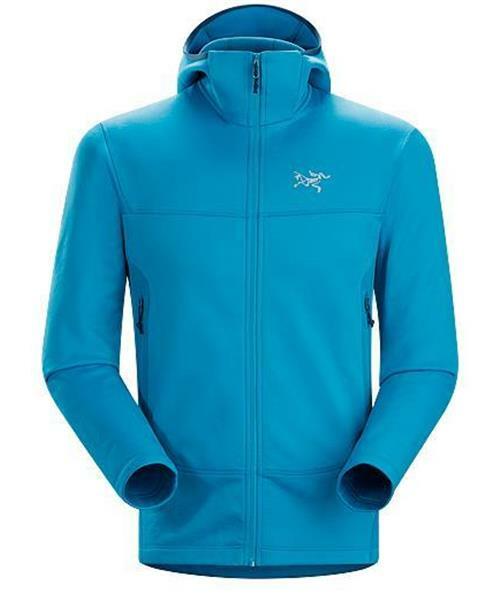 The Arenite is the warmest fleece in the Arc’teryx Essentials collection. The Cobblecomb™ fleece fabric combines the thermal performance and moisture wicking properties of polyester with the stretch performance of elastane fibers to deliver effective thermal regulation and freedom of movement. The lofty fleece backer is warm and comfortable, and the durable twill textured face resists pilling and allows shell layers to slide on and off easily. The Arc’teryx commitment to building with freedom of movement in mind is apparent in the Arenite. The Athletic fit stays relatively close to the body, but provides room for light layers. Articulation and anatomic patterning combine with gusseting under the arms to provide exceptional ergonomic performance without negatively impacting the fit. When worn under an Arc’teryx shell, the fit and articulation align to help create an entire system designed to move with the body. The Arenite’s design is simple and clean, with a minimalist aesthetic that reflects the Arc’teryx commitment to essentials only. The low profile hood provides warmth and fits comfortably under a helmet. The full length front zipper makes it easy to get on and off, and can be unzipped with a single hand for immediate ventilation. Two hand pockets stow essentials.